I've been meaning to finish blogging about my work experience for a while now - ever since August in fact - but since I've started back at university and now run Puppy School classes, my time just seems to have evaporated. However, I do want to share what the final part of my work experience provided me - the opportunity to see behind the scenes at Nottingham Greyhound Stadium. I'm well aware of how the racing industry polarises opinion and I don’t want to get into the rights or wrongs of racing, this isn’t what my blog is about. As previous posts have explained, I want to work with retired greyhounds, and their owners, post-racing and to do this I feel that I need to understand how these hounds have been nurtured before their retirement life as a sofa surfer. I can only blog about what I saw - not what may happen at other tracks or at other trainers. It's pretty rare for a ‘civvy ‘to see what goes on behind the scenes before, during and after a race. To attend a greyhound race as an official handler, you need a licence from the Greyhound Board of Great Britain, (GBGB) which is the governing body for regulated greyhound racing in the UK. Jane approached GBGB on my behalf and I was granted a temporary licence as a kennel hand. For me, attending a racetrack as a handler was something I felt I needed to do. 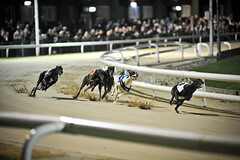 I wanted to see for myself how a greyhound is treated and what checks and procedures are in place trackside. I also wanted to use the opportunity to observe greyhounds’ behaviour before and after a race – not something you can easily do as a spectator. At university, we’re encouraged to observe behaviour from a scientific point of view, which can be very hard when you have an emotional attachment to a breed or dog. The Greyhound Board of Great Britain (GBGB) is the governing body for greyhound racing at licensed tracks in the UK. GBGB came about as a result of the 2007 Lord Donoughue report into greyhound racing. The report was commissioned in the wake of reports of greyhound welfare issues, notably at Seaham, Co. Durham, which – quite rightly – created a media storm and alerted the public to some of the welfare problems surrounding the sport during the passage of the Animal Welfare Bill. At the time greyhound racing was overseen by two bodies – The British Racing Greyhound Board and the National Greyhound Racing Club. As a result of this report, GBGB was established in January 2009. However, GBGB is only responsible for governing the racing at GBGB licensed tracks and not the unlicensed 'flapping' tracks. For many kennel hands, track days are long days. You’re on the go from early morning until at least 11pm/midnight. The hounds that are racing on that particular day are carefully checked at the kennels - they are weighed, groomed and checked to make sure they’re in full health prior to racing. Then mid-afternoon, the hounds are prepared for their journey to the track and are put in the van, in individual crates/compartments, ready to go the track. Depending on the trainer, most vans are equipped to transport between 6-12 greyhounds. When we arrived at the track, we unloaded the dogs one by one. Our first task was to let them go for a pee and a poop (there was a sandy area especially for this, fully equipped with bins and shovels). If I timed it right I realised I could position the shovel in the right place – as anyone who’s read my previous post will know that I couldn’t manage the flick of the poop onto the shovel! - and 'catch' the poop before trying to make a mess of scooping it. Then each dog was taken into the kennel area. This is an air conditioned building, with an outside paddock area, where the hounds are checked and gathered immediately before a race, and rows of internal kennels. The amount of checks each hound underwent were phenomenal. When you arrive in the kennel area, you provide the dog’s name to a member of the track staff and then the checks begin… Firstly, the dog’s ear tattoo (or tattoos if he/she is a dog of Irish origin) is checked and compared against the name and database information. Then the dog is scanned for his/her microchip – again to check that the dog isn’t a ringer. These details then appear on a TV screen above the scales, where the dog is weighed. A racing greyhound's weight can only fluctuate within 1 kilo of his/her last racing weight - if the hound is over 1 kilo heavier or lighter they will not be allowed to race. Once the identity of the dog has been checked and verified, it was time to go through to the kennel area - when entering this area, the dogs have to be muzzled. The dogs are then checked by the vet before being admitted to their individual kennel. The vet checks their gait, general health and re-checks the ear tattoos. Each dog is given a kennel which is numbered and allocated by race. The kennels are the size of a large crate (as in crates used by many pet dog owners) and provide enough space for the hounds to stand up, move around and lie down. Each kennel has clean bedding of the vet bedding variety and is airconditioned/well ventilated. Before the dog is popped into their kennel, a member of staff checks the ear marks again and scans the microchip. Once the hound is in their kennel, the door is locked. The reason the door is locked is to prevent any tampering with the dog before a race. When it's time to prepare the dog for his/her race there are another series of checks to go through. When collecting a dog from their kennel, I had to provide the member of the track staff with the dog's race name, the race he/she was in and their kennel number. The member of staff then unlocks the kennel to let the dog out. The dog's ear marks are re-checked and then I was able to put the dog in their racing jacket, fix their race muzzle and attach their leather fishtail collar and lead. The dog is then led by the handler into the paddock area, where he/she is scanned again for the microchip and another vet check is undertaken. When given the signal the handler leads the dog out onto the track, where the dog is announced to those attending the race. Upon another signal each dog is taken to the traps and they are placed individually into the relevant trap. They are only in the trap for a matter of seconds before the race begins. At the end of each race the vet is there to check each hound after he/she has finished the race. If any hound has sustained an injury the vet is able to treat them. Once the race is finished each dog is taken back to the paddock by the handler and checked over. Their faces are washed to get rid of any sand and their paws are washed and checked to get rid of sand and to make sure there are no cuts. They are then taken back into their individual kennel and provided with a fresh bowl of water. The track is very stringent about leaving each dog in their kennel for a minimum of 15 minutes after the finish of each race (instead of taking them straight back to the trainer's van). Again, this is to ensure that the health is not compromised - if there was an issue that did not present itself immediately after a race, the time lag ensures that if there was such an injury the vet could attend to it. The track at Nottingham is 437m in circumference and on the occasions I was at the track I witnessed one accident where a pair of hounds bumped each other and one ended up doing a somersault. This is the part of the sport that I, and from the trainers I spoke with, dread. Everyone wants their dog to come home safe and injury-free. In the race where the bump happened, both the dogs seemed to be fine and were checked by the vet. However, another dog which was not involved in the bump had gone lame and was attended to by the vet immediately after the race. At one of the races I attended I was interested to see that there was a Greyhound Welfare Officer listed in the programme and present at the track. I spoke with him as I was intrigued to understand his role. He is responsible for ensuring the welfare of the dogs both at the track and those who are about to retire. If he feels that the welfare of a dog is compromised, my understanding is that he is able to take relevant action to tackle it. With the number of checks in force at the track I visited it would be very difficult to tamper with any dog or substitute a ringer once they're at the track. GBGB also has a stringent approach to anti-doping. At any GBGB licensed track, random urine sampling and tests can be undertaken to test whether a dog has been doped. I was especially interested to observe the dogs' behaviour when they were with their handler, waiting in the paddock just before the race started. I was on the look out for stress signals such as hyper vigilance, lip licking, crouched body posture, panting and shaking. Whilst I did see signs of stress in some dogs, I did not see signs in all dogs. And those that were exhibiting stress signals were not the extreme signals of stress that I have sometimes seen at general dog shows and in rescue kennels. In contrast there were some dogs that showed signs of anticipation that we would probably term as excitement (think how excited your dog may get when he/she is shown their lead). Overall, I was impressed with the facilities and standards of care I saw at the track. I understand that injuries may happen but, in my opinion, injuries can happen as equally off the track as on (just ask my dog Mina). So what does the future hold for greyhound racing in the UK? Track attendances are dwindling and there are calls to ban the industry. What would happen though if greyhound racing was banned? 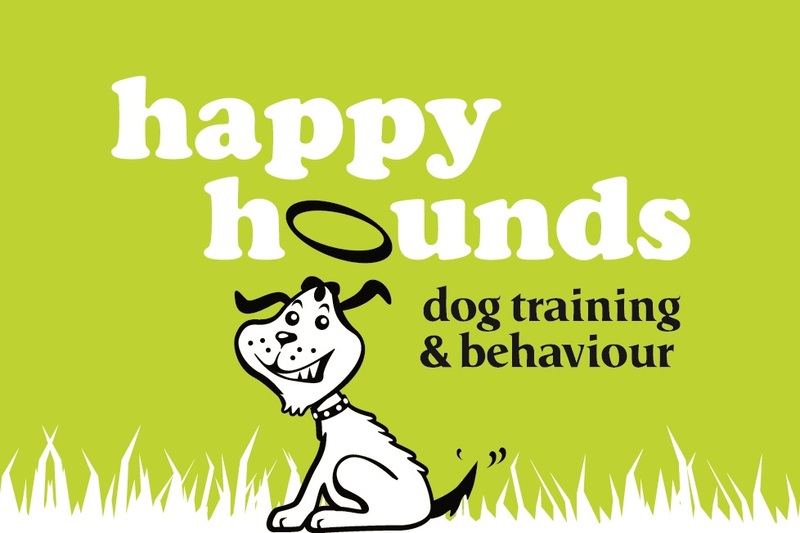 There would certainly be an economic impact for those who run racing kennels and those connected to racing – staff at tracks and kennels, manufacturers (pet food, bedding etc), along with the rehoming charities and rescue centres. And what about the dogs themselves? If greyhound racing was banned tomorrow, would it lead to mass euthanasia of the thousands of dogs in racing kennels? How and where would these dogs be homed? It may surprise you to know that despite the number of greyhounds that retire from racing each year, the Greyhound is listed on the Kennel Club’s native vulnerable breed list. In 2010 only 65 pedigree greyhounds were registered with the Kennel Club and up to the end of September 2011 only 12 greyhounds have been registered. I don't know what the answer is and I can see both sides of the argument for and against racing. At the end of the day the greyhound is an amazing breed and one that I hope I will always have the privilege of working and sharing my life with. *Please keep responses polite. Any abusive comments will not be tolerated and will be removed. Yet another interesting blogg Susan. As we all know greyhound racing is he subject for much debate , but I worry that if it were banned completely as some people suggest then it would go "underground " and the checks and conditions you have described would not exist and the dogs would have no protection from the very people we are trying to save them from . Greyhound Racing can only exist because thousands of greyhounds are sacrificed to keep it going annually. This is because there are not enough kennel spaces in RGT kennels and the independent greyhound rescues have the same problem too. Often greyhounds are saved from being killed in pounds and are taken in at the last minute. The industry does not take responsibility for the welfare and high numbers of greyhounds they need to keep it going. The GBGB sanctions the killing of greyhoungs by offering on their Retirement Form - Section D. if no home or placement can be found. This allows trainers and owners to have a perfectly healthy or a dog with a treatable injury to be killed or to be disingenous - PTS. How many thousands of dogs had to die so you could have your work experience? For every dog that races, thousands don't make the grade, retire are not even registered and are usually killed. Thank you for your comments. If you read through my posts about my work experience you will see that I work with greyhounds post their racing careers. My blog is not here to debate the rights and wrongs of greyhound racing. Rather than ignore what happens in a greyhound's life prior to their retirement I wanted to see for myself how they are reared, trained and looked after. I believe to truly help rehabilitate greyhounds to a life after the race track, it is necessary to understand their life as a racing greyhound. In my opinion this cannot be done based on hearsay. It is also not fair to tar all greyhound trainers with the same brush as those who do not care for their hounds appropriately. I agree that the industry does not contribute enough to the RGT, it is my opinion that this contribution should be increased (I think it’s 1%). When I was at the RGT conference last year, there was also talk about getting the trainers to pay towards the cost of spaying/neutering and care. From my experience with a local charity, I know that some trainers pay a sum to the charity when they take a dog. I was interested in this initially. Then it became evident that you were expressing your own opinion and, to me, that was very much pro racing and the 'facts' you state are somewhat misrepresented and some are downright untrue. The comments you have made about injuries is nonsense (making 6 dogs race round tight bends together is dangerous) as is the way you have glossed over some points such as random drug testing as well as stating that it is hard to drug a dog when we know that dogs running at licensed tracks are frequently testing positive for a range of drugs from cocaine to viagra. You fail completely to mention that the GBGB's priorities are the integrity of racing NOT welfare of the dogs. You say the old NGRC tracks are where there are issues. Rubbish. the change was simply a rebranding PR exercise - same people, same problems just some mickey mouse name with some additional safeguards that don't work such as microchipping which stops what? Hounds are still abandoned and are still dying to provide entertainment. As for the rescue centres closing without greyhounds, I, as a rescuer would throw the biggest party ever! Then I'd go out to help staffies. I think any greyhound rescuer who says differently is in it for the wrong reasons. The show greyhound which is registered by the kennel club is a different breed to and I completely fail to see why on earth you have written that a breed of dog where one stud dog has produced 10,000 pups are endangered! You have taken an experience that couldve been useful and turned it into something its not which is a shame. The person who said that greyhound racing will go underground. How do you hide a racetrack, crowds of people, around 60 excited greyhounds and lots of cars? And as for the massd deaths if they ban racing - how would that happen? it would never be an immediate ban and it would be scaled down and with the average racing career being just 18 months, I think that's just scaremongering. Thank you for your comments - they do not offend me at all. They are your views and, as already stated, greyhound racing is an emotive subject. Yes - the blog posts are my views. I am not a journalist writing a critique or exposé on the greyhound industry. I am a degree student who decided to undertake a work experience placement at racing kennels. When I first started the placement it was with some trepidation, based on what I have seen and read on other websites, feedback from other students who had done placements at racing kennels and views from other greyhound owners. I'm neither pro- nor anti-racing but somewhat on the fence. I don’t not enjoy a 'night at the dogs', therefore I cannot claim to be anti-racing. At the same time, if I never went again, I wouldn't miss it. As my post explains, I can only blog about what I saw and observed. 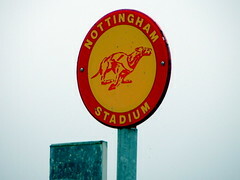 The 'facts' you refer to are my observations of what I saw and experienced at the Nottingham Track. I have never stated that they represent the industry as a whole. As the blog states, my comment about injuries is what I witnessed on the occasions I was at the track. No dog should be doped, but as with any sport there are those who look for illegal ways of enhancing performance (which, in my opinion, is unacceptable). If a dog is testing positive for banned substances, then it gives more reason for testing to continue and for the trainers responsible to be dealt with accordingly. The inference of old NRGC tracks being the problem is your interpretation - not mine. The question posed about rescue charities was open-ended. The inference you took was them closing - my inference would be how would they cope when many already have waiting lists? How can the show greyhound be a different breed? The breed standard is different in so far as show hounds are bred for looks rather than stamina and fitness but they are one in the same breed genetically. The statistics about KC registered show greyhounds are fact and yes, it may seem odd that they are listed as a native vulnerable breed but they are. Your views about my work experience being wasted are your opinion and naturally, not an opinion that I share. If my work experience exposed wholesale mistreatment of the greyhounds in the kennels I worked at would you then class my experience as being valid? I went into my work experience with an open mind (although there were clouds of concern as explained in the beginning of my response). Rather than relying upon hearsay I wanted to see for myself how a racing greyhound is looked after and trained - how can this be ignorant? Ignorance is making sweeping assumptions about any subject matter without going out there and experiencing it or finding out more for yourself. My work experience did change my views and challenge my perceptions - they may not coincide with your views or opinions but that does not make them any less valid. Thanks for your comments. I'd be happy to email you with information about the training and activities I've used. Hi Susan, i have just read all your posts on the work experience with great interest. You must of loads to write about in the assignments! It does amaze me though, that people have such strong views about how bad something is and fail to see an improvements as a positive, almost as though if things do improve they have nothing to rant about. I know of a couple who race, two are retired and live at home with them, a third is still racing. These dogs are very well look after, and I can't ever see the owners as these evil people some are painting them out to be. I know this issue is very emotive, and people will never agree. But to dismissive improvements is a bit silly if ultimately everybody wants what is best for animals. Thanks for your comments. Yes, the work experience gave me lots to write about for my university assignments! Greyhound racing polarises opinion - as you've seen by the comments. I do feel it is unfair to tar all trainers with the same brush as those who mistreat their dogs and discard them like yesterday's newspaper. There are problems within the industry but as you've picked up, my blog isn't about the industry per se. It's about my experiences at a particular trainer & my views/observations and opinions on what I learned. I have read many of the shocking reports, seen mistreated greyhounds who have been abandoned (not always by the trainer, sometimes by their owners)and seen the photos and footage on websites which do not support racing. It was these reports and images that were uppermost in my mind when I started my work experience. The contrast between my actual experience and what I had read was vast. I did not witness what many sites write about and my blog posts reflect this.